Fidel is a fresh culinary arts graduate from a Swiss school, working as under-chef in a casino restaurant in Macau. Fidel is forced by his mother, Inay Viring, to come back to their home town in time for the first death anniversary of his father. 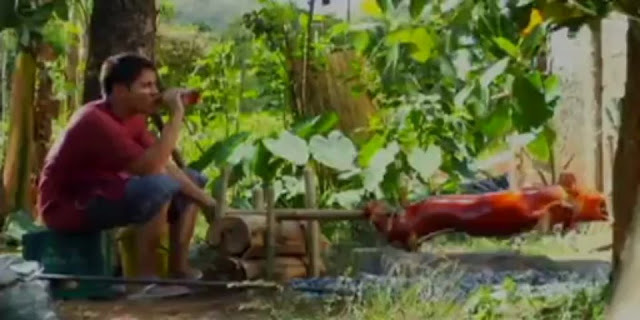 After he arrives, he is challenged by an uncle, Tiyo Pinoy, blaming him for forgetting his roots, that he has become practically a foreigner, and that no matter how hard he try, he cannot cook a good lechon. Fidel accepts the wager.